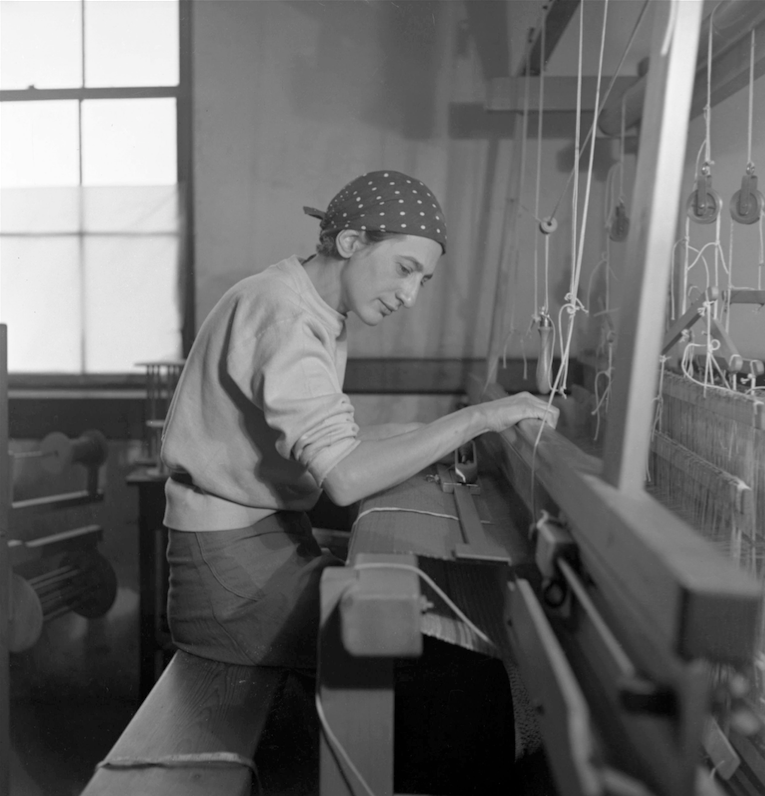 In 1984, textile artist Anni Albers (1899-1994) wrote, “to comprehend art is to confide in a constant.” Her artistic career and bold, geometric weaves seems to have been a response to this constant need to comprehend art. Their beauty, expression and intellectual rigor are captured in every knot, weft and thread. 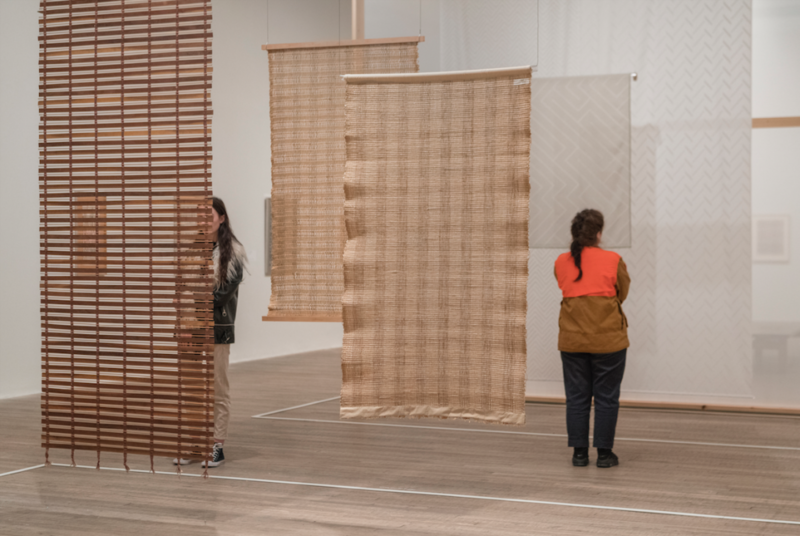 In the first major retrospective of Anni Albers in the UK, the Tate Modern presents over 350 objects including intricate small-scale studies, large wall hangings, jewelry, textiles designed for mass production and weaving tools and machinery — some of which, have never been shown before. 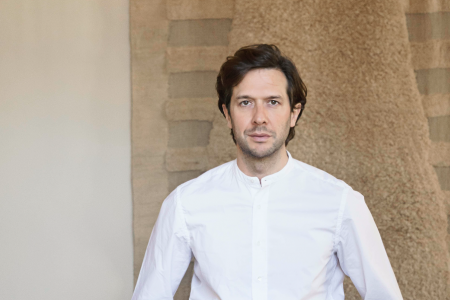 The exhibition is part of the Tate Modern’s wider program focusing on artists working with textiles. 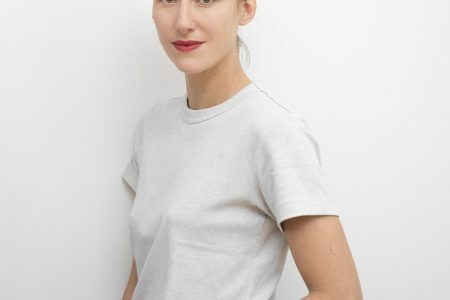 The gallery takes the opportunity to elevate Albers’ pivotal contribution to twentieth-century modernism, which has been somewhat overlooked as a result of her gender. 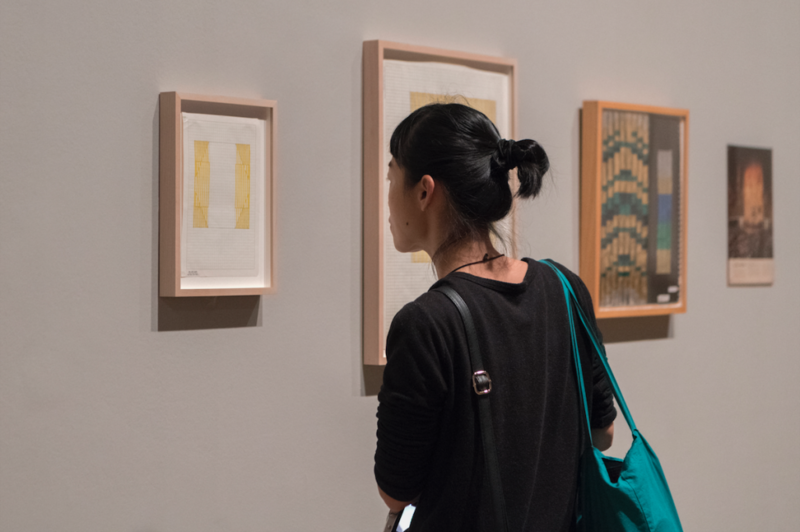 The works in the exhibition take visitors on a journey from country to country and institution to institution. Albers was born in Berlin at the turn of the century. In 1922, she started her studies at the Bauhaus in the weaving department where, as a woman, she was permitted. Here she met her husband and fellow artist Josef Albers and other key modernist figures like Paul Klee. As the Nazi’s gained power and the Bauhaus was shut down the couple moved to the US in 1933 where she taught at the experimental Black Mountain College for over 15 years. 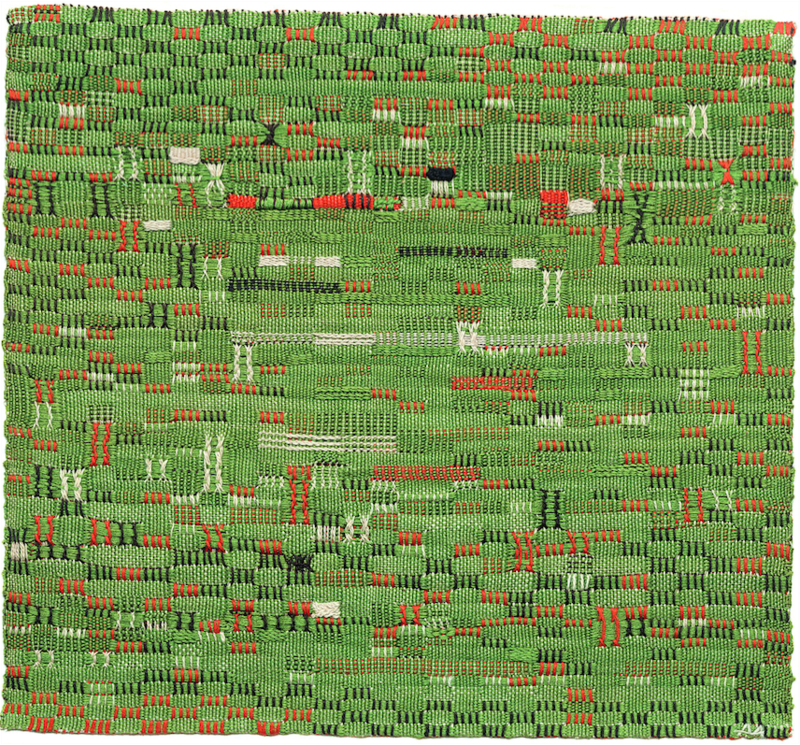 While in America, Albers took frequent visits to Mexico, Chile and Peru whose influence on her work can be seen in Albers’ approach to the techniques and making processes of weaving. Three key works on display that reflect this influence are With Verticals 1946, Epitaph 1968 and Tikal 1958. 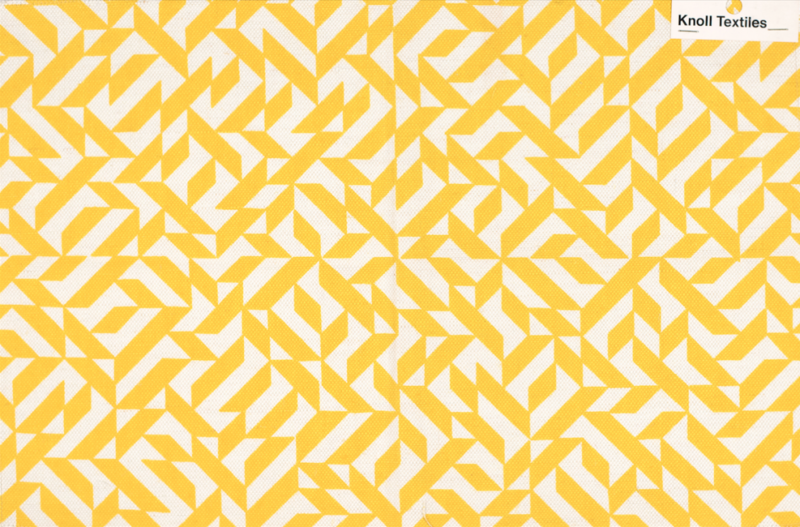 Not only an artist, Albers produced seminal texts around her practice. 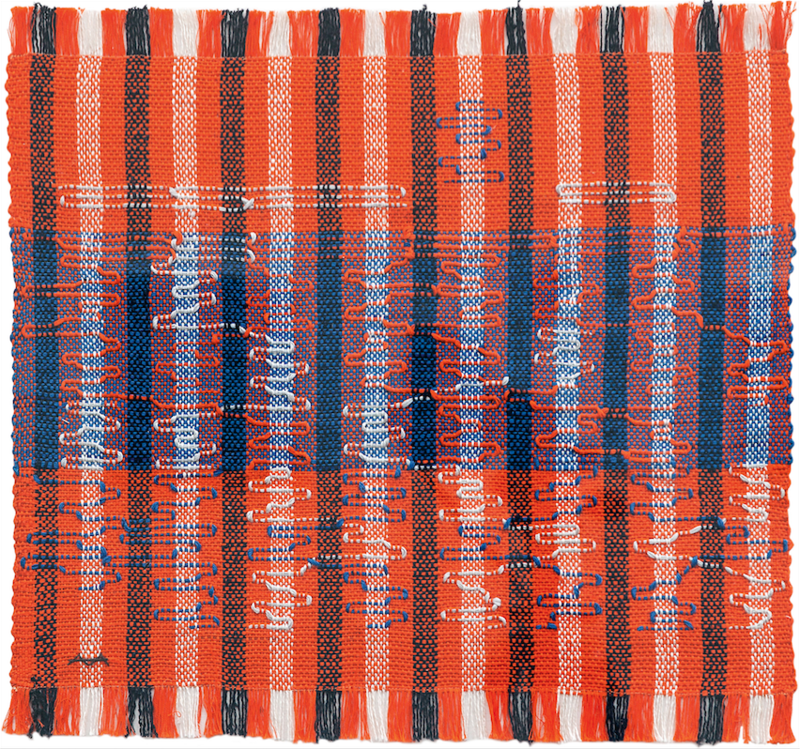 Her works ‘On Designing’ 1959 and ‘On Weaving’ 1965 explore the history of weaving as a global phenomenon and show an expanded understanding of the geography of the craft. And her essay ‘The Pliable Plane: Textiles in Architecture’, 1957 was the inspiration behind the exhibition itself. In this essay, Albers calls for “a new understanding between the architect and the inventive weaver”. 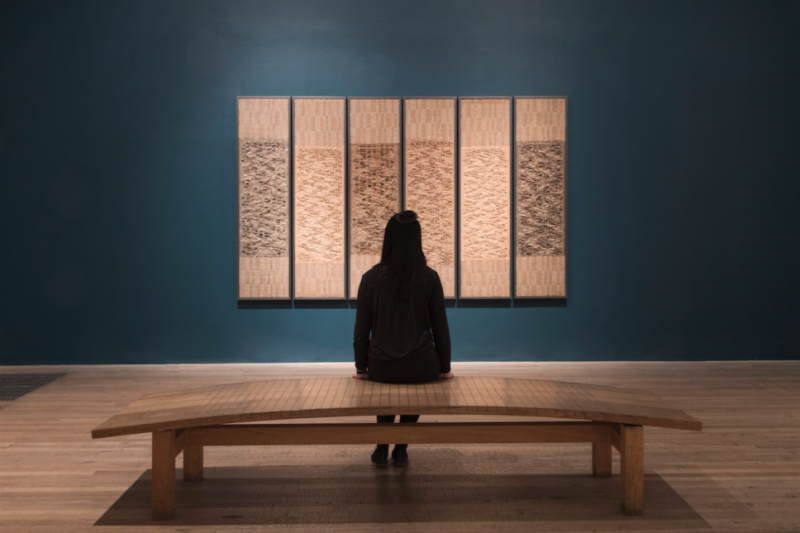 Straddling the borders between art, design and architecture, Anni Albers constant striving for expression through the medium of weaving is seen throughout the exhibition. 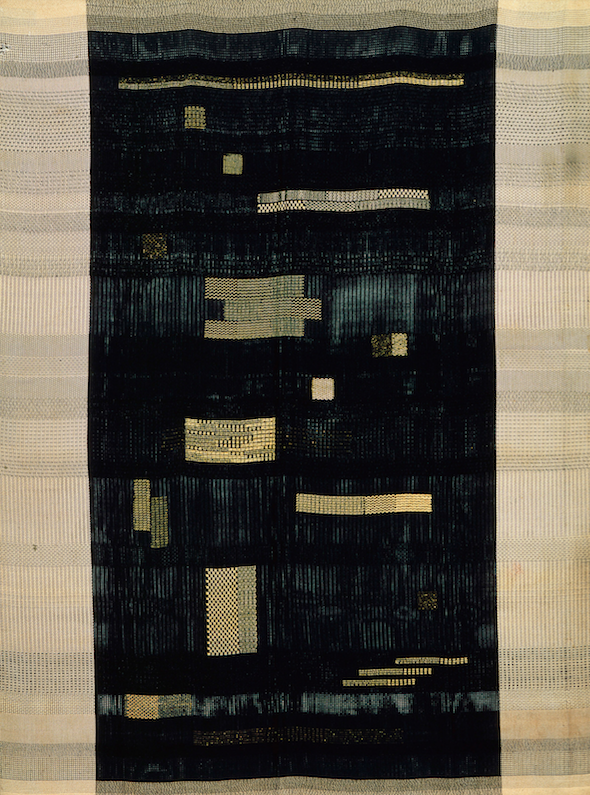 Her earlier works such as Wallhanging 1924 and Black White Yellow 1926 show her first forays into weaving. 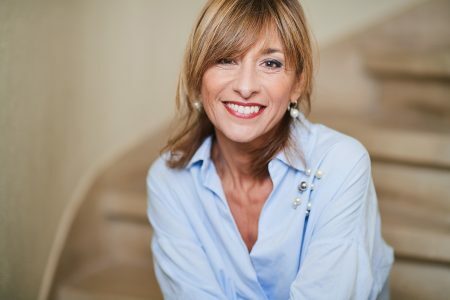 The samples and works from her time in America show the development of her techniques and approaches. 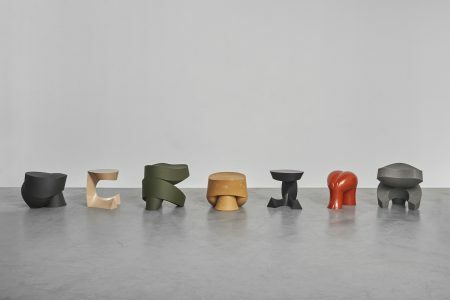 Commissioned work such as Six Prayers 1966-67 — a memorial commemorating the six million Jews who died in the Holocaust, commissioned by the Jewish Museum in New York — demonstrate the artists capacity for turning a manufacturing process into artwork capable of deep and moving emotion. Meanwhile, TR II 1970 and Red Meander I 1969-70 reveal her highly abstract thinking and continued influence on the art world and future generations of artists at large.